It’s become more than just a cell phone or credit card, it could eventually change the way you receive your tax return, and essentially eliminate paper checks forever. When it comes to prepaid payment systems, many people don’t realize that it’s not just the consumer that benefits, but also the investor. 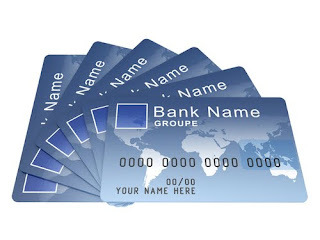 And as these payment systems are growing more and more each year, experts are advising companies to get on board now. “Mercator Advisory Group forecasts that the prepaid debit card market will expand at an astonishing 92% compound annual growth rate until 2012 and will reach $118.5 billion in annual funds loaded”. The cause for such an expansion comes from households that are categorized as being “underbanked”. Many Americans don’t need to have a bank account because they don’t generate enough income, so this population may eventually rely on prepaid debit cards. The state of Nebraska has even gone as far as using prepaid debit cards for child support payments. Lexch.com discusses “The prepaid cards have been an excellent way to cut state program expenses and streamline government operations while still delivering services to constituents, said State Treasurer Don Stenberg”. This could completely separate these payments from banking. You can’t deny that we live in a digital age, whether it’s the way we advertise, listen to music, or read a book, so it was only a matter of time before our banking followed. Prepaid payments are not only an opportunity for investors, but also a solution for consumers.